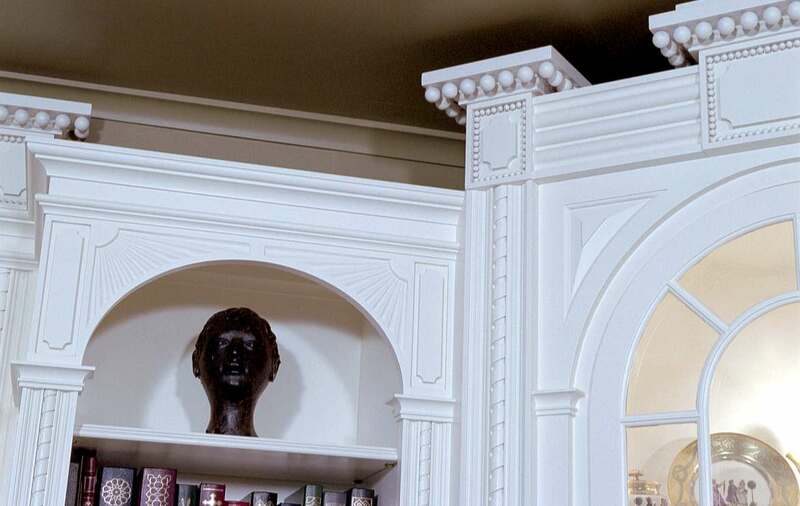 The details of the library in image 6065.1 reproduce those used in the original cabinetry, in Charleston, South Carolina. To accommodate this smaller room, many of the characteristic decorative features needed to be rescaled to fit the downsized cabinetry. The full complement of design and woodworking skills available from our custom shop, were required to successfully capture the atmosphere of this unique space.